Sponsorship - become our Community Partner! 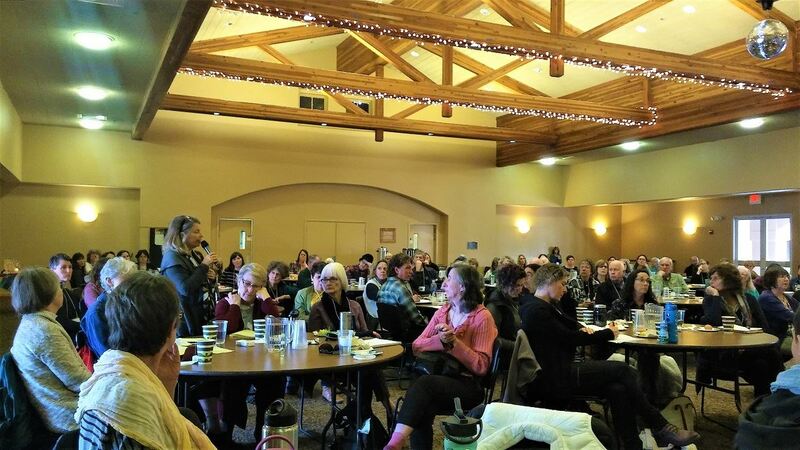 Redwood Empire Chapter of California Association of Marriage and Family Therapists (RECAMFT) is a membership-based organization that supports the mental health professionals of Sonoma County who provide direct services to the people of our community. This includes underserved and low income persons and addresses the full spectrum of mental and behavioral health issues. RECAMFT members are dedicated to providing the highest possible level of care and resources to those we serve. 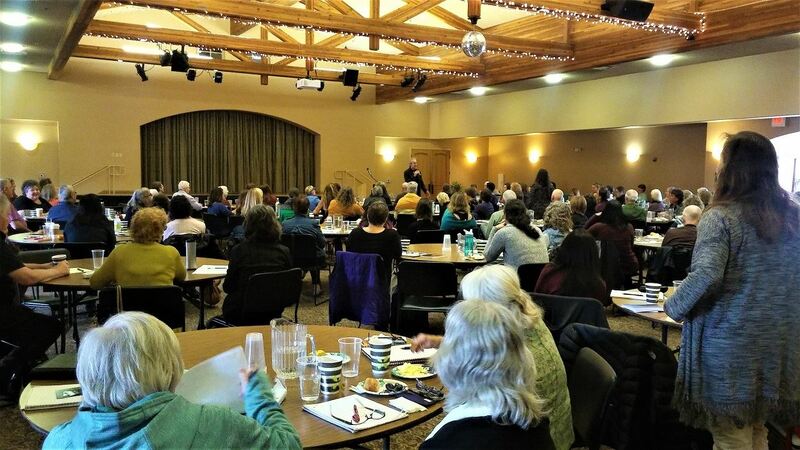 We welcome and salute community partners and sponsors who share our vision for providing educational and outreach events to professionals in Sonoma County. 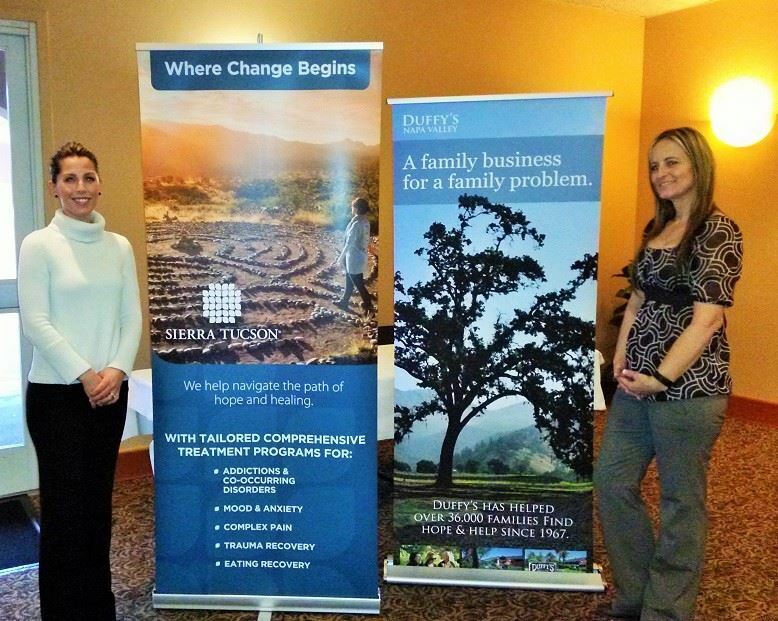 Professionals, agencies, and companies that provide community resources and services to clients and consumers of mental health services within the Sonoma County area. Professionals, agencies, and companies that provide resources and services to mental/behavioral health professionals. Others who provide a service or resource that is supportive of RECAMFT’s mission and who have been approved by the RECAMFT Board of Directors. What are the benefits to a sponsor? Your name will appear on multiple marketing materials. Your logo and link to website will go via our eblast announcements to up to 1500+ mental health professionals. You will receive an ad in our monthly newsletter (copy due by the 15th to be included in the following month’s newsletter).Grand, Platinum and Gold sponsors will be featured on the RECAMFT Home and Events page. 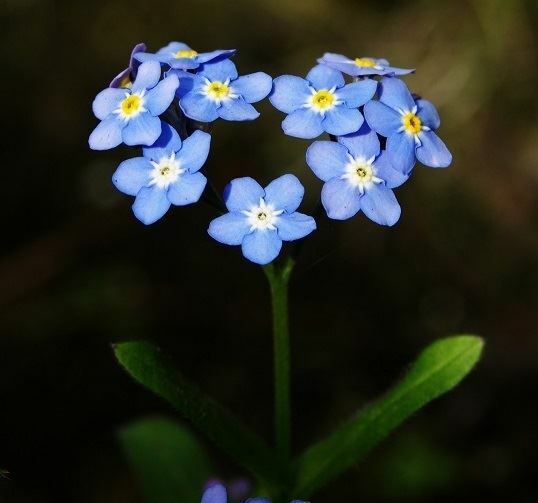 Grand, Platinum and Gold sponsors will be featured on the RECAMFT Salutes page, dedicated to showcasing sponsors who support mental wellness in our community, featured for up to one year. You will be given a dedicated table at the sponsored event. Up to two representatives of your company may attend the event at no charge, and can interact informally before the event starts, during breaks/lunch, and for 15 minutes after the close of the event. Sponsor recognition on the day of the event, including public announcements. How do I and my company become a RECAMFT event Community Partner Sponsor? 1. There are two simple steps. Simply complete the RECAMFT Sponsorship Letter of Agreement. The document is available by clicking here: Word or PDF. 2. Email your completed letter to therapy@recamft.org. Someone will contact you soon about becoming a Community Partner Sponsor. Thank you for considering becoming a Community Partner Sponsor with RECAMFT! RECAMFT was voted #1 CAMFT Chapter in 2014! Click here to download a PDF Invitation to become a Community Partner Sponsor from RECAMFT's President. Members - please download this PDF and email it to any parties you feel might be interested in becoming a partner for one of RECAMFT's events. Thanks! ● A table at the event for chatting and providing promotional materials. ● Your logo and link to your website will be included in six (6) email announcements to our members just prior to and/or after the event. ● A medium sized logo and link to your website will be featured on the RECAMFT Home Page and Events Page for 90 days. ● Your logo and link to your website will be included in the event announcements that reach over 1700 people. ● Your logo will be included in any event specific handout material printed by RECAMFT on the day of the event. ● Full-page ad in three monthly newsletters. ● We will publicly thank you on the day of the event and allow you to read a statement of up to two minutes in length (which has been pre-approved by RECAMFT prior to the event) about your products/services. ● We will write up your business, including your logo and link to your website on the RECAMFT Salutes page where it will remain for one year. ● You may distribute materials to each attendee at the event by placing your materials at individual places on the tables or chairs. Below: Oct. 2017 Francis Weller Conference, a member asks a question. ● Your logo and link to your website will be included in four email announcements to our members just prior to and/or after the event. ● A medium sized logo and link to your website will be featured on the RECAMFT Home Page and Events Page for 60 days. ● Full-page ad in two monthly newsletters. ● We will publicly thank you on the day of the event and read a small statement about your products/services. 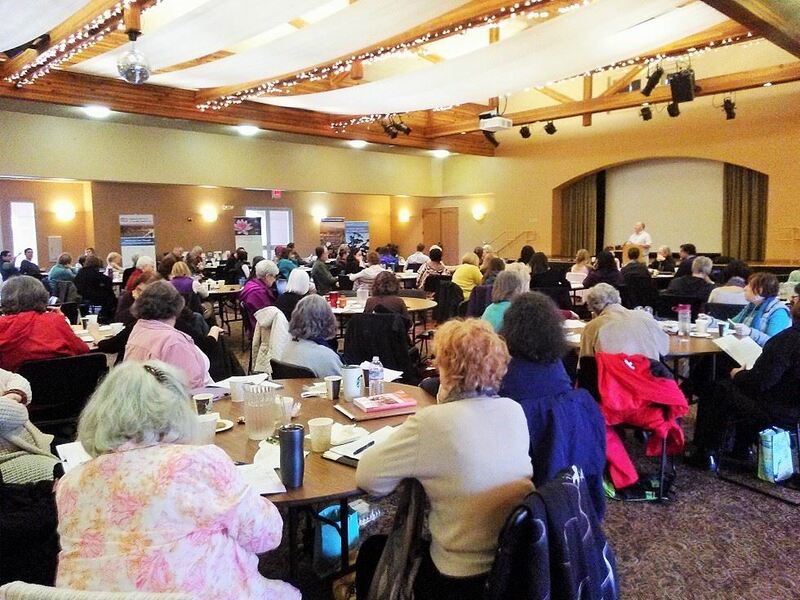 Below: Members enjoying the exercises offered by Francis Weller, Oct. 2017. ● Your logo and link to your website will be included in three email announcements to our members just prior to and/or after the event. ● A medium sized logo and link to your website will be featured on the RECAMFT Home Page and Events Page for 30 days. ● Full-page ad one time in the monthly newsletter. Below: Member Eric Lofchie asks Rick Hanson a question, Oct. 2015. ● Your logo and link to your website will be included in four email announcements to our members just prior to the event. ● A small logo and link to your website will be featured on the RECAMFT Home Page and Events Page for 30 days. ● Your logo and link to your website will be included in the event announcement to registrants just prior to the event. ● Half-page ad in our monthly newsletter. ● A small table at the event for chatting and providing promotional materials. ● Your logo and link to your website will be included in the email announcement to our members just prior to the event. ● Quarter-page ad in our monthly newsletter. ● We will publicly thank you on the day of the event. 1. Make a payment to RECAMFT in the amount specific to the chosen sponsorship level at least 60 days prior to the event date. 2. Provide marketing materials (logo, etc.) in electronic form to RECAMFT. 3. Prepare and distribute your materials for display at the event. 4. Optional: provide a representative to manage the Sponsor’s table. $250 Friendship Sponsor for monthly meetings, currently held at Odd Fellows Hall, 545 Pacific Ave., Santa Rosa, CA 95404. 1. 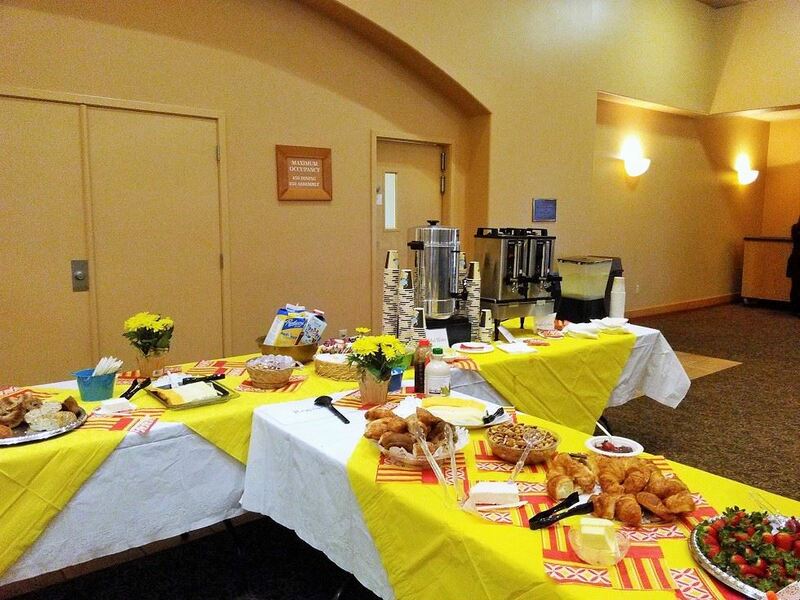 You may add your promotional materials to our table, and visit with our members at our monthly meetings. Networking starts at 10:30 am.small table at the event for chatting and providing promotional materials. 2. Eighth-page ad in our monthly newsletter..
3. You may introduce yourself during the introductions portion of the meeting, and briefly talk about your services. 4. We will publicly thank you on the day of the event. 4. Optional: provide a representative to introduce your services. RECAMFT makes no guarantee that Sponsor’s participation at the described event will be exclusive of any other sponsors. Immediately following receipt of your logo, payment and agreement, we will commence the marketing promised you the level of Sponsorship you have chosen. Therefore, once your date is secured, the fee for sponsorship is non-refundable. In the event that you are unable to attend your scheduled event, you are welcome to send a representative in your place. If you can't send a representative, your sponsorship will be announced at your sponsored meeting, and members will be directed to our website for more information about your services. All sponsors are required to refrain from making insensitive or disparaging statements pertaining to ethnicity, race, ability, sexual orientation, gender identity, or class. RECAMFT reserves the right to bar from our meetings any sponsor who violates this provision. 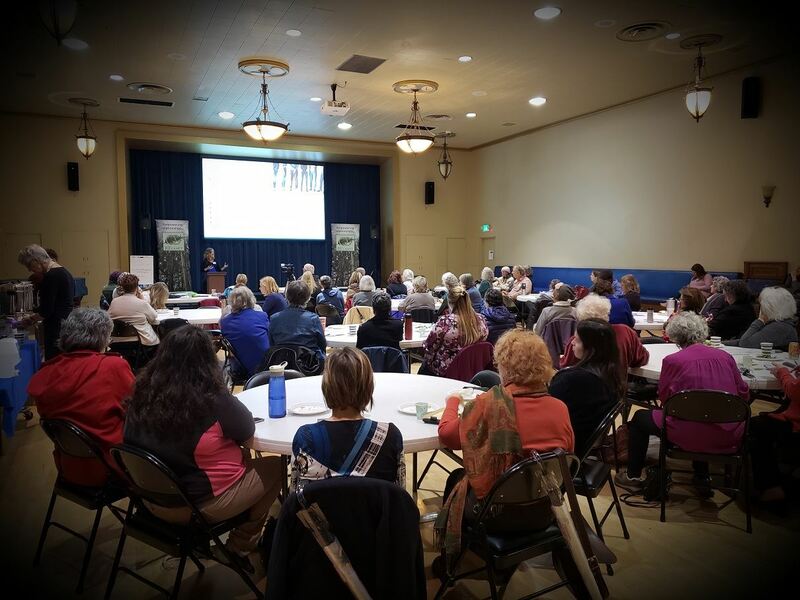 Ivy Griffin, LMFT spoke to a full house in RECAMFT's new larger venue at Odd Fellows Hall, Santa Rosa, Feb. 2019. 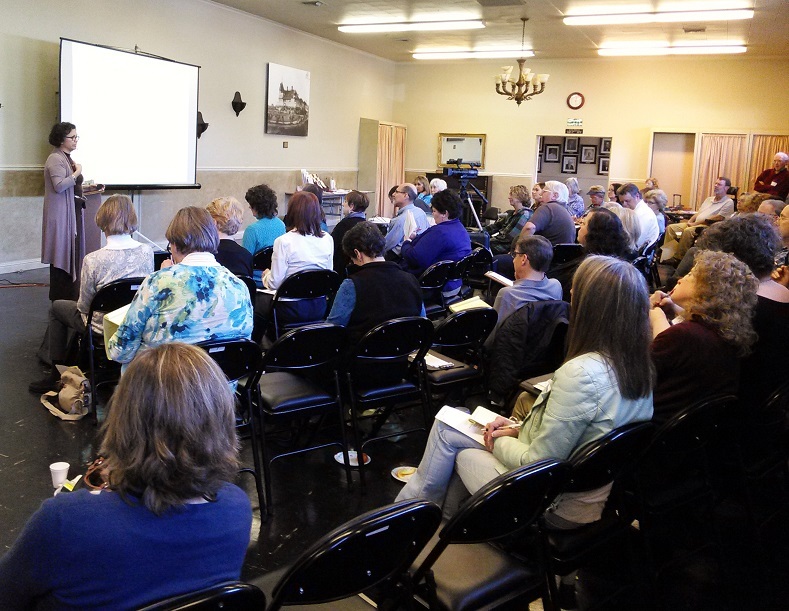 Dr. Dan Wile spoke to RECAMFT at a monthly meeting in March 2017. 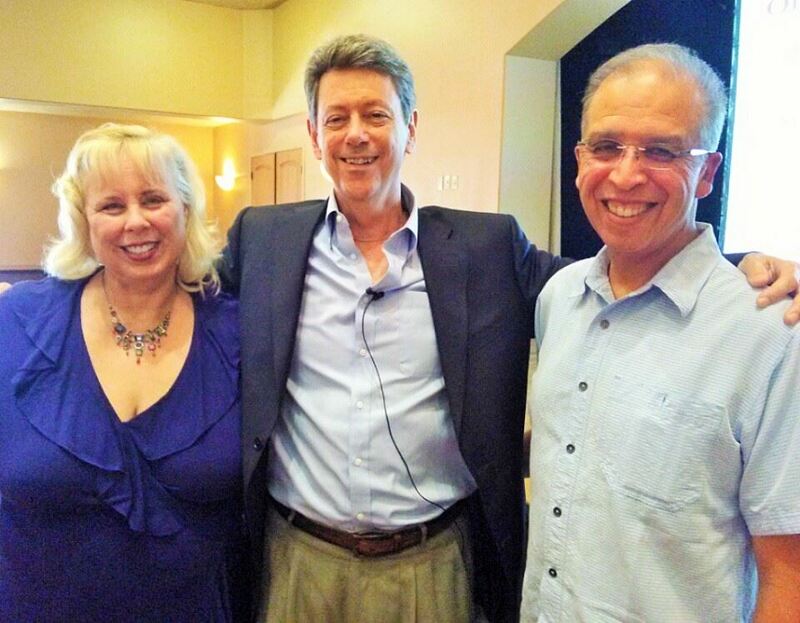 RECAMFT was delighted to have Rick Hanson, PhD, best-selling NY Times author in Oct. 2015. Dr. Hanson wrote Buddha's Brain and Hardwiring Happiness. 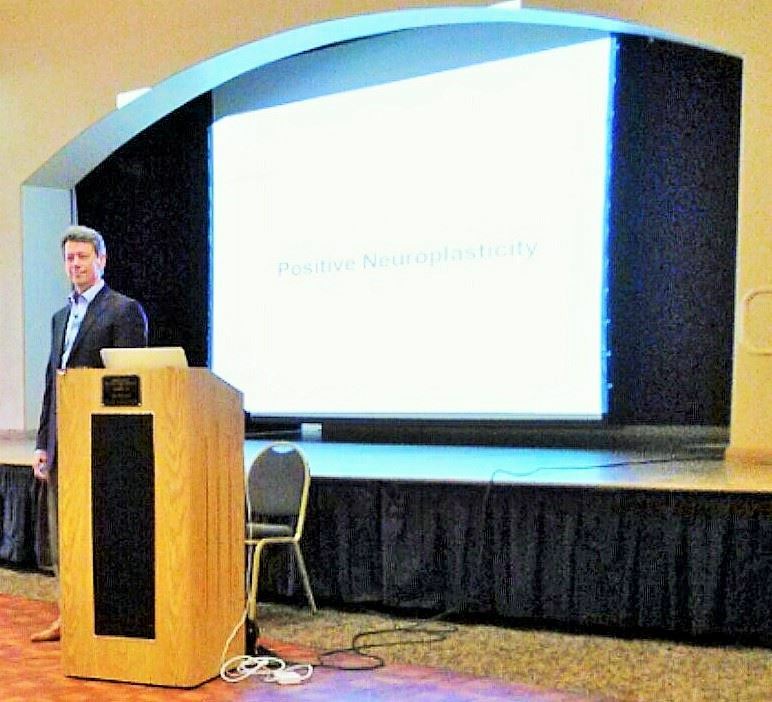 He offered RECAMFT a fascinating 6 hour workshop on Positive Neuroplasticity. Above: 2015-2016 CAMFT President, Laura Strom, Dr. Rick Hanson, 2017-2018 CAMFT President, Dr. Bob Casanova, LMFT. 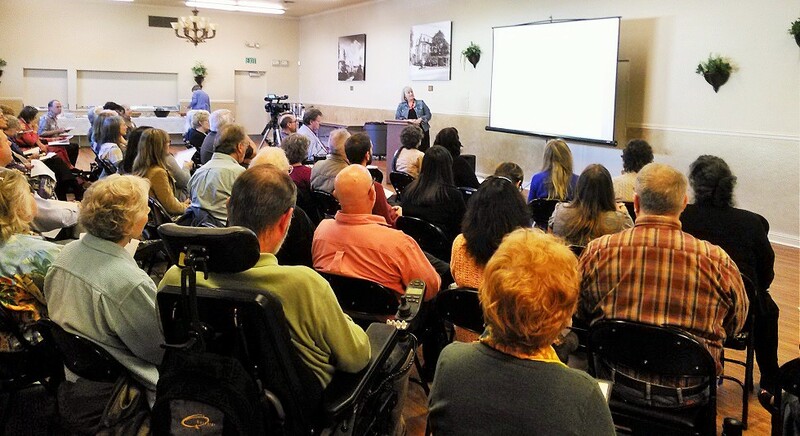 RECAMFT events draw large crowds from the Sonoma County Behavioral Health Community. We also draw from the surrounding counties, including Marin, Lake, Napa and Mendocino. Here are some pictures from prior events. 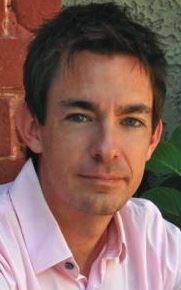 Above: Author Francis Weller, drew a large crowd, Oct. 2017. 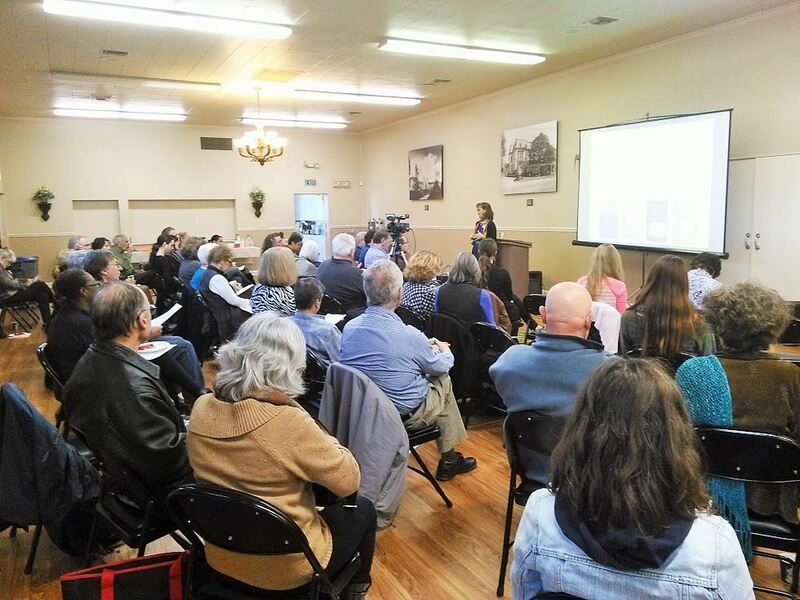 Above: Dr. Mary Flett drew around 250 people to her DSM-5 presentation, held in Santa Rosa at Finley Center, Feb. 2014. 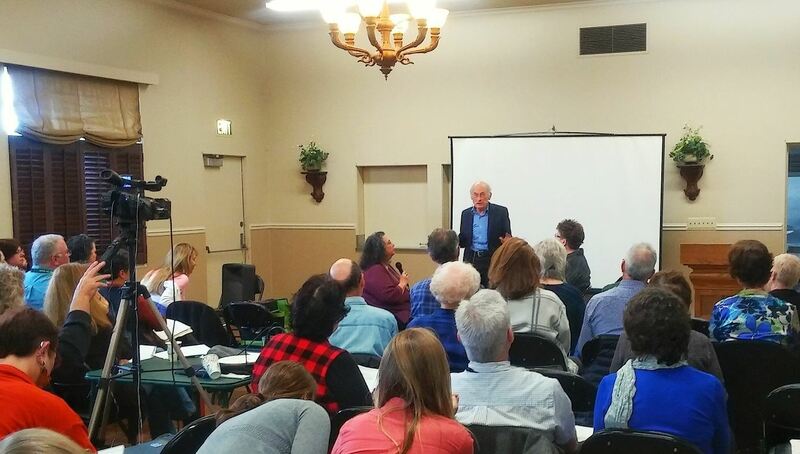 Below: Each spring CAMFT staff attorney David Jensen, JD, presents "Law & Ethics" to a large crowd at Furth Center. RECAMFT films our monthly speakers. Meetings are held at the Odd Fellows Hall, ten months out of the year. Our monthly speakers draw a nice crowd. Here are some shots of prior speakers. Above: Author Michelle Minero, The Self-Love Diet, Feb. 2015. 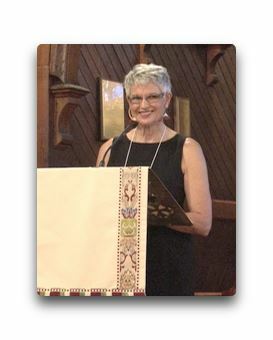 Above: Dr. Laury Rappaport, speaks about focusing arts. 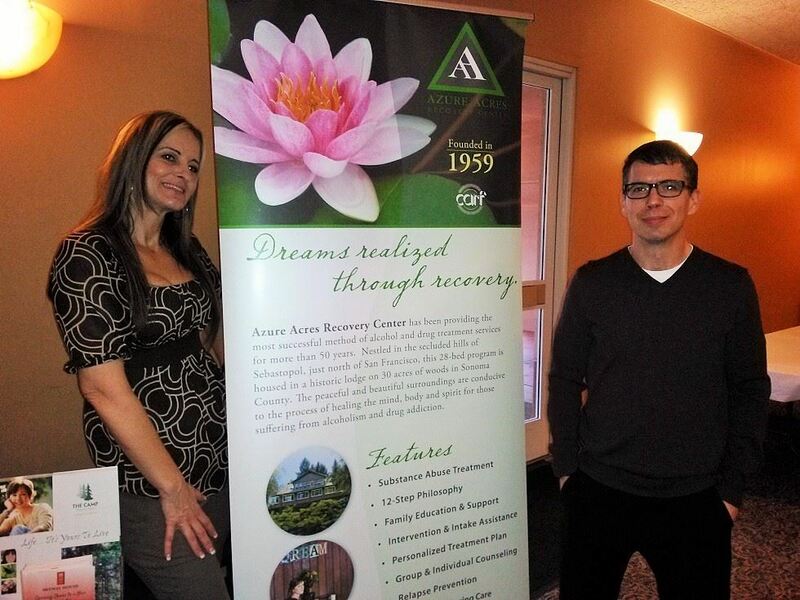 We are grateful to our past community sponsors! See more here. RECAMFT responded very quickly to the Oct. 2017 NorCal fires, by offering a training to helping professionals on disaster mental health. 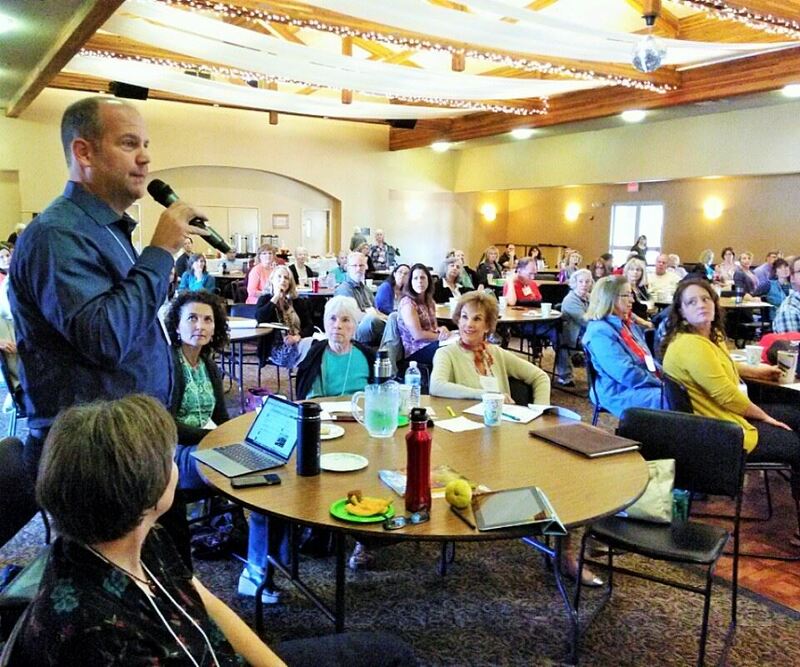 Over 250 people registered for these free trainings which were held at a local church. Below: Doreen Van Leeuwen, disaster mental health specialist speaking. Her training was video-taped by RECAMFT, and put on its own page on our website for anyone to view. 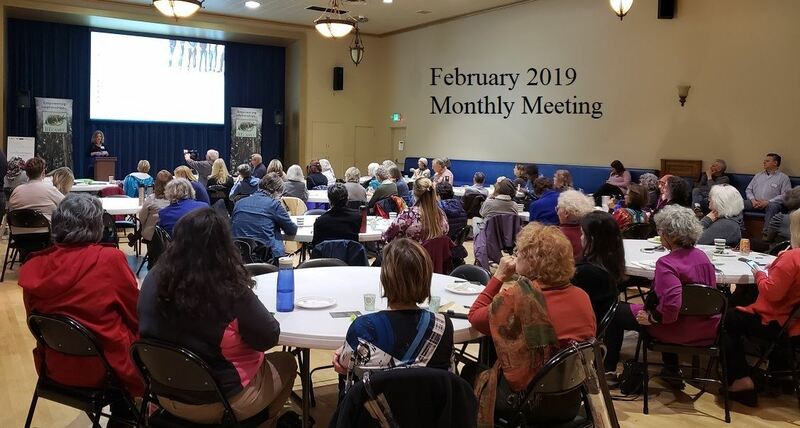 In 2019 RECAMFT moved its monthly meetings to a larger venue in Odd Fellows Hall which provides an excellent screen, and sound system. 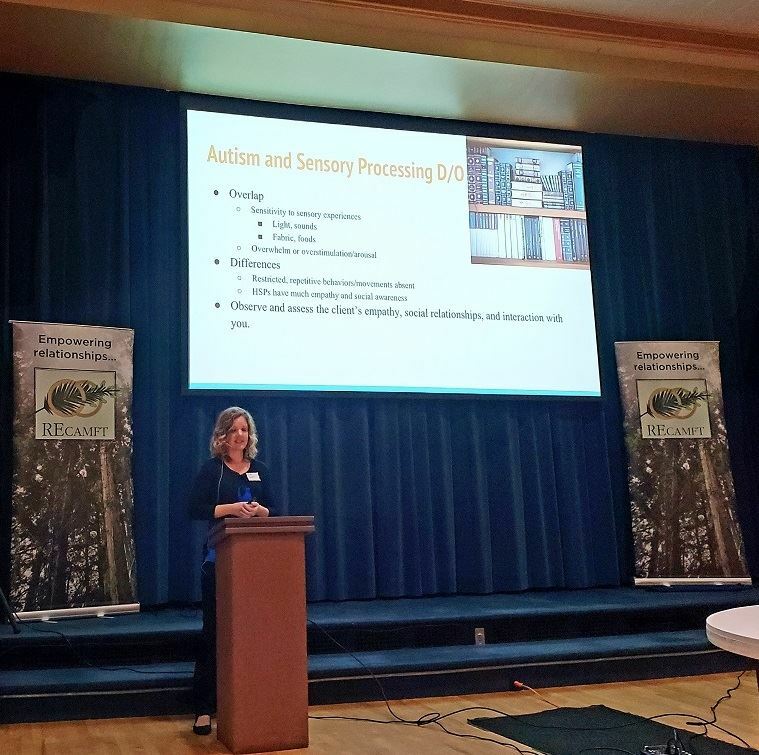 Below are some pictures from our February 2019 meeting with Ivy Griffin, LMFT presenting on Highly Sensitive Person(s) (HSPs). 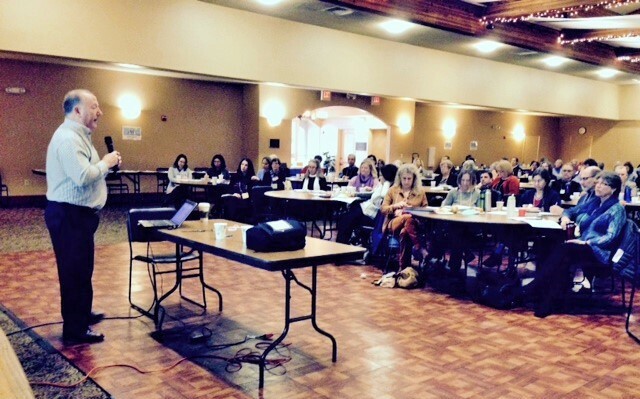 Human Sexuality Educator Diane Gleim, LMFT, CST drew a large crowd, May 2015.